We manufacture carbon seal rings which are used as an integral part of mechanical seals in general utihty pumps and chemical pumps. These carbon seals have controlled hardness and excellent resistance. These are widely used as a part of mechanical seals in general utility pumps, water pumps and chemical pumps. 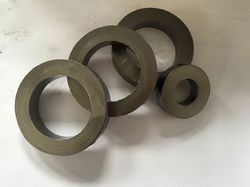 Our range of Graphite Sealing Rings and seals is available in various designs and sizes and can also be customized as per the needs of the clients. 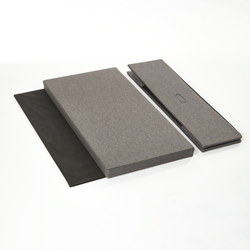 A premium high tensile Aramid Fiber Packing with inert PTFE impregnates. Thoroughly complemented with synthetic Break-In lubricant, for improved run in. Excellent burning resistance at start up. - Much better substitute of soft Iron Gaskets. - Vertical reinforcement of S.S. wire net provides Superb Mechanical Strength. - Does not damage parent equipment. We can provide seal carbon graphite seal rings made imported Resin impregnated / Metal (antimony) impregnated carbon as per your drawings / samples. If you do not have drawings or samples, please send your rotary joints / Mechanical Seals to us, we will make drawings and supply. We have gained a remarkable position in the market that is involved in offering Graphite Sealing Ring.